In a day and age where knowledge is plentiful—even overwhelming—the existence and prevalence of ignorance is amazing. Why does ignorance prevail in the midst of a rising tide of knowledge? For a myriad of reasons. Some ignorance is born out of laziness. We can be too lazy to verify whether or not something is true. Or too lazy to think deeply about something. How many times have you heard people repeat an opinion as factual, as if it’s beyond question? Have you done this yourself? Bias and prejudice contribute to a developed ignorance. An ignorance numb to the truth. This could range from racism to politics to religion, even in the sciences which is self-contradictory in itself. A developed ignorance is born out of self-interest and resistance to the truth. One of the ignorant things I’ve heard people say about Jesus is—He never claimed to be God. This is untrue. He did. This is a major reason He was condemned to die by the Jewish leaders. The primary focus of John’s gospel is to declare the divine nature of Jesus as the Son of God. In the following verses, Jesus gives five truthful testimonies to verify who He is. But I have something that testifies more favorably on my behalf than John’s testimony. The tasks that the Father gave me to carry out, these tasks which I perform, testify on my behalf. They prove that the Father has sent me. The Father who sent me testifies on my behalf. You have never heard his voice, and you have never seen his form. So you don’t have the Father’s message within you, because you don’t believe in the person he has sent. What does Jesus say about testifying on His own behalf? Who does Jesus say gave a true testimony about who He is? What else and who else testifies on behalf of Jesus? What are the last two sources of testimony of Jesus and why should the Jews know this? The five testimonies Jesus gives are an indictment against the Jewish leaders. They understood John the Baptizer’s testimony. This was made clear earlier in John’s gospel. Though the Jews knew John was a prophet sent from God, their leaders rejected what John said. They rejected John’s testimony for the same reason they didn’t accept the Father’s testimony of Jesus and the signs and miracles Jesus did. Why? Because it wasn’t what they wanted to hear or believe. Their minds and hearts were numb to the truth of the Scriptures because they clung to their own interpretations of the Scriptures. This is the real issue—in spite of all their religious fervor, their hearts were hardened towards God. This is the problem for many people regardless of their religion or rejection of religion. When our mind is set on what we want to believe, it makes it hard to hear or accept the truth. In reading through all the gospels, especially John’s, it may puzzle you how resistant the Jewish leaders were to Jesus, His teaching, and how His authority was confirmed by the signs and miracles. And yet, it’s the same for all of us. It’s a matter of control. Our natural default is to want to be in control—to determine our own destiny—to be our own god. Why do you think the Jewish leaders either ignored or did not accept John’s testimony? What does Jesus point to as the reason why these leaders don’t hear the Father’s voice or accept Jesus as the Messiah? What does Jesus say they could receive if they would come to Him personally and believe in Jesus? Do you believe Jesus was sent by God the Father? If not, are you willing to consider this is true? Meditate On This— When confronted with the truth, we all have a choice to consider and weigh what we hear or read. If we have a genuine desire to know the truth, we need to be willing to understand it with an open heart and mind—free from bias or self-interest. Prayer Focus— When you have difficulty accepting what the Bible says, especially when it comes to who Jesus is, be honest about it with God. If you’re willing to approach God with an honest heart, He will help you understand it by His Spirit. Just be open and honest with Him! One of the difficulties people have with the Christian faith is Jesus being in God in nature. It was something I struggled with in my journey of faith. How could Jesus be both God and human? How could He have two natures at the same time? The gospel of John begins with this truth. The purpose of the apostle John’s account of the gospel is to reveal who Jesus is through what He said and did (John 20:30-31). The Pharisees—the religious elite—struggled the most with Jesus’ declarations as the Son of God. One simple reason the Pharisees didn’t accept Jesus as the Son of God was their religion. Not Judaism as established by Moses but the complicated and restrictive system of religion they developed over the years. I believe the reason most people struggle to believe and trust in Jesus is because of opposing religious beliefs and traditions. Humanity tends to turn the relationship God calls us into by faith and make it a religion—a set of rules and expectations. We try to deconstruct what is eternal and infinite, then reconstruct it in a way that fits our finite and limited understanding. And so, we struggle to accept what God makes simple by creating barriers and restrictions Jesus removed through His life and death on earth, and His resurrection from the dead. What are we told the Jews begin to do? What are two reasons the Jews treated Jesus as they did? How does Jesus describe His relationship with His Father? What does Jesus say about judgment? How is this relevant and important for those who do trust in Him? Many people—even those who don’t claim to be Christians— see the life Jesus led as exemplary—a model life. Indeed, Jesus lived His life on earth as an example. One of His primary goals was to disciple those who trusted in Him to live by faith. The core element of Jesus’ life of faith was His relationship with His Father. Is this something every believer can do? Yes, absolutely! How Jesus prayed, spoke, and acted are all the ways believers—those who trust in and follow Him—are to live. But following the example of Jesus isn’t about holding to a set of beliefs and practices in a religious sense. True disciples are to live by faith as Jesus did—relying on the Holy Spirit to guide us each step of the the way. The followers of Jesus are not called to set up a religious way of life and judge others who don’t hold to their same ways. This would make us more like followers of the Pharisees. We’d become modern-day religious elites. Jesus calls His disciples to follow Him by faith so we may be free of judgment and pass from death into life—eternal life. What great blessings does the Lord give those who honor Him as the Son of God? What type of life is guaranteed those who listen to and believe (trust) in Jesus? How can a person who believes in Jesus as the Son of God pass from death to life while on earth? What do you think this means? Are you living by faith with assurance of eternal life? Is this life Jesus promises already present in your heart? Meditate On This— Following the example of Jesus isn’t about holding to a set of beliefs and practices in a religious sense. It’s a life of faith—relying on the Holy Spirit to guide us each step of the the way. Prayer Focus— If you don’t have assurance in your heart of the promise of eternal life Jesus extends to all who trust in Him, ask God to give it to you. Ask in faith—accept His promise by trusting in Him by faith. 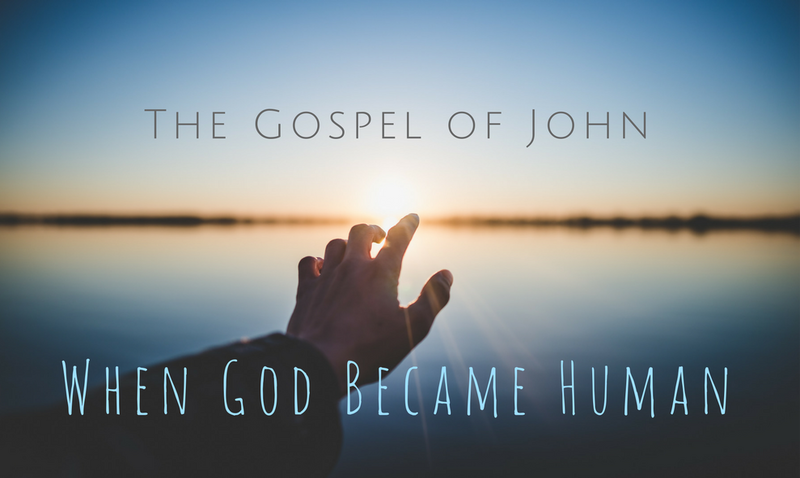 The gospel of John is different than the other three gospels. It only has 8 miraculous signs while the others recount many. Each miracle in John is a sign illustrating the Lord’s ministry—why God became human (John 20:30-31). Each one is part of a larger story and context. As with many stories of Jesus’ interaction with people, some deeper insight is needed to understand all that takes place. The Mosaic Law and religious cultural restrictions are a major part of this story, along with Israel’s history. It revolves around a sick man laying beside the pool of Bethesda who encounters Jesus. This man was part of a crowd gathered around the pool to receive healing. These people believed the first person to enter the pool when an angel came from heaven and stirred up the waters would be healed. Their hope was in a legend. Jesus saw this man who’d been sick for 38 years and approached him with a simple question—Would you like to get well? But the man doesn’t answer Jesus directly. Instead, he gives Jesus an excuse for why he can’t be healed. His response is the first indicator of how pitiful this man is, which becomes more clear as you read the whole story. Later, Jesus went to Jerusalem for a Jewish festival. Near Sheep Gate in Jerusalem was a pool called Bethesda in Hebrew. It had five porches. Under these porches a large number of sick people—people who were blind, lame, or paralyzed—used to lie. What stands out to you about the beginning of this story? Who is gathered at this pool? Who does Jesus approach and what does he ask this man? How does the man respond to Jesus’ question and why do you think he says this? What does Jesus say to the man and how does He say it? What takes place immediately? Over the years, Jewish rabbis reinterpreted the fourth of the ten primary commandments of the Mosaic Law, as they did many other laws. Successive interpretations added restrictions to what a person could and couldn’t do on the Sabbath. These added laws distorted God’s original purpose for the Sabbath. When Jesus spoke healing to this pitiful man, it came in the form of a command to do three things—get up, pick up his mat, and walk. Not long after his healing, the pitiful man is rebuked for carrying his mat as Jesus directed him to do. Imagine you’re this man—what would you do? Whose command would you follow? Here we see the pitiful state of this man and his weakness. His response and actions illustrate the weakness and futility of following religious laws. Religion itself has no power to transform a person compared to God and His power. It comes down to where a person puts their trust. Do we trust in our own efforts to transform ourself through religion? Or…do we trust in God Himself and His transforming power? Do you understand all the dilemmas this man faced? Can you see how and why this man is so pitiful? Have you found yourself in paradoxical situations where you don’t know what to do? Do you get caught up with what others expect of you? Do you struggle with trusting God with the dilemmas of your life? Meditate On This— Our confidence needs to be in God rather than our own efforts or religious regulations. The Lord calls us into a personal relationship of trust rather than following a rigid set of rules. God intended the Sabbath to be a restful blessing not a restricted religious day. Prayer Focus— As you consider present or previous dilemmas you’ve faced, ask God to give you insight and direction for how to move beyond these struggles by trusting in Him. Be honest and specific in your prayer and spend time listening and waiting for His guidance. What does it take for a person to become a believer in God? Is it a certain understanding? How is a spark of faith ignited in a person’s heart? I don’t know of one specific answer. In fact, when you ask a hundred different people how they came to believe, you may get a hundred different answers. If you ask a theologian, they may give you one specific answer. But if you ask several different theologians and philosophers, you’ll probably get a myriad of answers. This story at the end of Chapter 4 of John tells of a second miraculous sign done by Jesus. Once again, Jesus was in Cana of Galilee where He turned water into wine. This time, a little boy is healed and his father becomes a believer. Jesus returned to the city of Cana in Galilee, where he had changed water into wine. A government official was in Cana. His son was sick in Capernaum. The official heard that Jesus had returned from Judea to Galilee. So he went to Jesus and asked him to go to Capernaum with him to heal his son who was about to die. Where do Jesus and the disciples travel after being in Samaria? Who comes to Jesus and what does he ask of the Lord? What does Jesus say to this father the first time? How does the father plead with Jesus for his son? What does Jesus tell him and how does the father respond? Believing in God is personal. It’s neither logical nor illogical. Belief is not the result of some spiritual dynamic or impersonal force, it’s a matter of trust. The story of this father’s request of Jesus includes insights to the spiritual climate of that time. As Jesus said, “If people don’t see miracles… they won’t believe.” This father—a government official—was an exception. Later, as the man traveled back home, his servants brought news of the boy’s recovery and when it happened. Realizing the power of Jesus’ word of assurance, he and his family became believers. Why do you think Jesus says people won’t believe unless they see miracles? How is it clear the government official was trusting in Jesus rather than looking for a miracle? When did the man know his son was healed by Jesus and how did it change his life? If you’re a believer, when did you become a believer and what was your turning point? Meditate On This— Faith—believing and trusting in God—is personal. It’s neither logical nor illogical or the result of some spiritual dynamic or impersonal force, it’s a matter of trust. When you are willing to take Jesus at His word, then faith becomes personal and genuine. Prayer Focus— Choose to interact with the Lord in a personal way when you pray. Start by being thankful and reflecting on God’s faithfulness. Pray from your heart as a child who trusts in her parents. Trust is the key to authenticity as a believer in God. In America, we prize our individualism, as if it were sacred. But our commitment to individualistic expression is at odds with the call of Jesus and the faith and life of the believers in the early church. If we claim to be followers of Jesus who calls us to deny ourselves (Luke 9:23), then our attempt to cling to individualism as a Christian believer becomes a non sequitur—it’s illogical. When Jesus encounters a Samaritan woman at an ancient well, she returns to her village to share this good news. As the story unfolds, we see their response to hearing Jesus for themselves. This was not something the disciples could see as possible. The apostles—Jesus’ closest followers—see their relationship with Him as somewhat exclusive. What Jesus tells them and what the Samaritan villagers declare later reveals the opposite. God’s heart is not exclusive but inclusive to others. “Don’t you say, ‘In four more months the harvest will be here’? I’m telling you to look and see that the fields are ready to be harvested. The person who harvests the crop is already getting paid. He is gathering grain for eternal life. So the person who plants the grain and the person who harvests it are happy together. Many Samaritans in that city believed in Jesus because of the woman who said, “He told me everything I’ve ever done.” So when the Samaritans went to Jesus, they asked him to stay with them. He stayed in Samaria for two days. What does Jesus tell His disciples about the time of harvest? How is this at odds with what they say and think? What type of harvest is Jesus speaking of and how is this made clear? What does Jesus tell the disciples about their involvement with this harvest? Individualism does not have a place in God’s kingdom and the work of service Jesus calls His followers to do. Jesus tells His disciples plainly that working with Him is a partnership not an individual assignment. Jesus says His disciples have the easy part of gathering the harvest that others have sown. Who was Jesus referring to? Most likely, the Old Testament prophets, including John the Baptizer. It would also include the faithful remnant such as Simeon the prophet and Anna the prophetess mentioned in Luke (Luke 2:25-38). Even the Samaritan woman at the well gives us an example of this. She leaves her water jar at the well to tell those in her village about Jesus. They respond by coming out to Jesus themselves (verse 40), which He refers to in verse 35. The Samaritans prevail upon Jesus to stay with them and He does for two days. Many of them believed because of the woman’s testimony but many others believed when they heard Jesus for themselves. Our responsibility as believers is to introduce people to Jesus, as partners with Him and others who are called to this eternal harvest. Who has spoken to you about Jesus and shared the gospel with you? As a believer, who have you and are you speaking to about the Lord and His love? Was Jesus speaking of this eternal harvest just for those disciples or for us too? Do you personally know Jesus—the Savior of the world? If so, who have you told about Him? If not, why not and what holds you back from believing? Meditate On This— Jesus calls those who choose to follow Him into a partnership with Him and others to sow and gather in an eternal harvest. This requires each believer to choose Him and His Kingdom’s work above their own personal interests. God is the great Includer—inviting us to partner with Him as we invite others into His family of believers. Prayer Focus— Pray for God’s vision to see the harvest He sees. Ask Him to open the eyes of your heart to see people as He sees them. Ask Him to open your heart to those He wants to gather into His family, His kingdom.